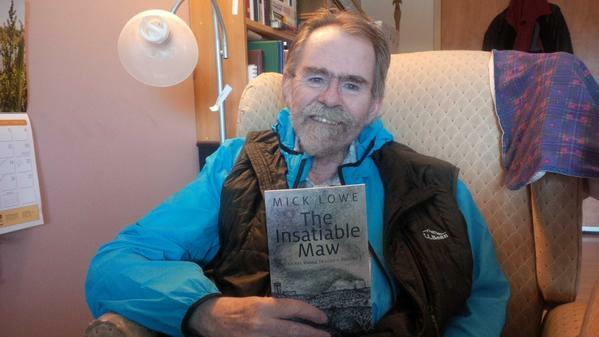 In the interview, Mick explains the title, The Insatiable Maw: He borrowed it from the late lawyer, politician, man about town, Elmer Sopha, who referred to the miners’ singular purpose being to feed the insatiable maw of the copper cliffs smelter. The Insatiable Maw is set in the Copper Cliff smelter complex. The protagonist, Jake McCool, fights for health and safety in the mines.